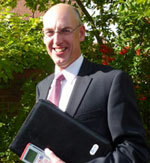 David worked for and directed a number of large Chartered Building Surveying practices before launching his own practice in 2002. He has over forty years' experience in the construction industry and has worked in Africa and Romania / Albania where he put his expertise to good use as a volunteer. He is a Fellow of the Royal Institution of Chartered Surveyors and holds an honours degree in Building Surveying. He is widely regarded as a Party Wall specialist and gives lectures on the subject, also having had articles published in the local press. He is Chairman of the North East Branch of the Pyramus and Thisbe Club of Party Wall Surveyors and is a member of the prestigious Faculty of Party Wall Surveyors.